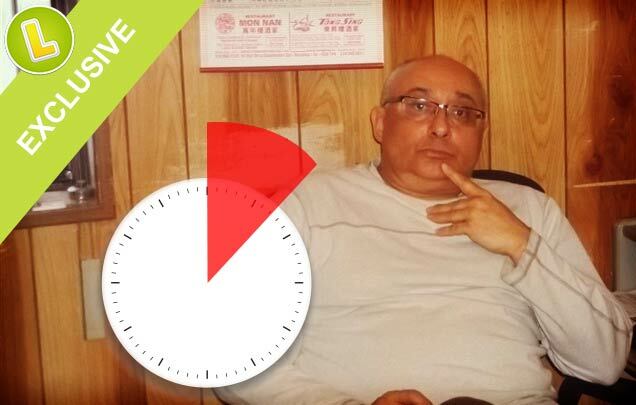 Meet Joel Ifergan, the Canadian man who lost CAD$13,500,000 when his winning lottery ticket printed out seven seconds after the deadline. That seven seconds resulted in a grueling seven year legal battle against Loto-Québec where Joel’s final attempt at appeal was recently refused by the Supreme Court of Canada. This afternoon I had the opportunity to speak with Joel and find out the facts about perhaps the seven costliest seconds in lottery history. On Friday, May 23rd 2008 Joel made a last minute decision to stop at local convenience store Depanneur to purchase two tickets plus the Extra game for the Friday Super 7 lottery. The deadline advertised by Loto-Québec was 9pm so Joel knew that he was cutting it close, but thought that he should just have time before that night’s lottery draw closed. Before purchasing the lottery tickets he asked the clerk at 8:59pm if he would make the cut off for the Friday lotto draw and he was told that he would just make it if he made his purchase immediately. Unfortunately for Joel the machine in that particular convenience store was relatively old and took several minutes to process and print his lottery tickets. According to timers synchronized to Loto-Québec's database the transaction occurred in their system at 8:59:47pm. However the clerk was confounded when Joel’s lottery tickets were printed several seconds later with the first ticket dated for that evening’s draw while the second ticket, the would-be winning ticket, was dated for the next draw. In contrast to what was in Loto-Québec's system around the time of the sale, the ticket was recorded to have actually printed at 9:00:07pm. That 7 seconds would haunt Joel for the next 7 years. Following the recent decision of the Supreme Court of Canada not to hear his final appeal, Joel has come to the decision, along with his wife and children, that the time has come to finally move on with his life. He said that without their support throughout his ordeal he believes that he would have driven himself crazy in his crusade to recover his share of the jackpot. It became clear from speaking with Joel that the most troubling aspect of this misfortune for him was not being deprived of the ‘millionaire lifestyle’ which so many lottery winners aspire to, but rather that he had been robbed of the opportunity to use the money to improve the lives of the people he loved. Joel is now facing over CAD$250,000 in legal fees for doing what anyone would have done and tried to fight for the life-changing sum he felt should have been his. Given the unfairness of the circumstances in his case, Lottoland will be making a donation to a fund set up by his daughter to help cover some of the monumental costs he must now meet. If you would like to help Joel out with some of his legal expenses which he incurred in this fight for jackpot justice please visit http://www.gofundme.com/joelifergan to make a donation. The Quebec Superior Court’s decision in Joel’s case would baffle most first year law students. Despite having accepted Loto-Québec's offer to sell him a lottery ticket, accepting that offer for that evening’s lottery draw and paying consideration (in this case money) to the clerk, the contract for sale was nonetheless said by the court not to have been completed at the time of sale but at the time his lotto ticket was processed and printed. In every other province in Canada a lottery player in Joel’s position would have been entered into that night’s draw based on when the ticket was purchased as opposed to when it was finally processed, no matter if it took seven seconds, seven minutes or seven hours for printing. Indeed, had Joel bought his ticket at a store with a newer, quicker machine he may well have been CAD$13,500,000 million richer! Not so in Quebec however. Loto-Québec never argued in court that Joel’s purchase did not begin processing at 8:59:47pm. That was clear from their own records. Under most traditional views of contract law that is when the transaction (offer + acceptance + consideration) should have ‘crystallized’ and become enforceable by both parties. However according to the courts of Quebec, the contract for sale was not completed until the ticket had actually been printed. Following this logic, if Joel had arrived at the store at 8:49pm and due to technical difficulties the machine had taken 12 minutes to process he would have found himself in the same predicament. Speaking to Joel today it was difficult not to put myself in his shoes – where a once in a lifetime opportunity is missed and instead turns into an all-consuming quest to get those seven seconds back. His unfortunate circumstances highlight the dangers of playing the lottery offline. Not only do you risk losing a winning ticket you take a serious risk by waiting until the last minute to make your purchase. At Lottoland your betting transaction is completed when you submit your shopping basket. 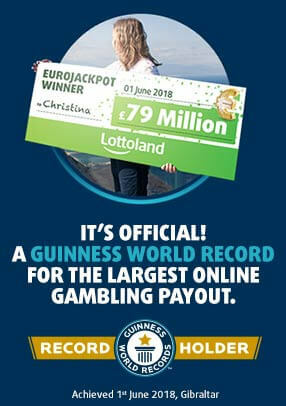 Furthermore, Lottoland offers special last minute bets long after offline shops have stopped sales. These last minute betslips have pre-selected quick pick numbers and have already been processed. It is by far the safest way to bet on the lottery if it is close to the deadline. So don’t risk losing out – enter the lottery safely with last minute bets at Lottoland. Again, if you would like to donate to help Joel Ifergan pay his legal fees please go to: http://www.gofundme.com/joelifergan . Meteor Strikes - What are the Odds?